These posts have squeezed in the top 30 listing. However,bearing in mind that some posts are issued and some posts are issued for a shorter period of time. 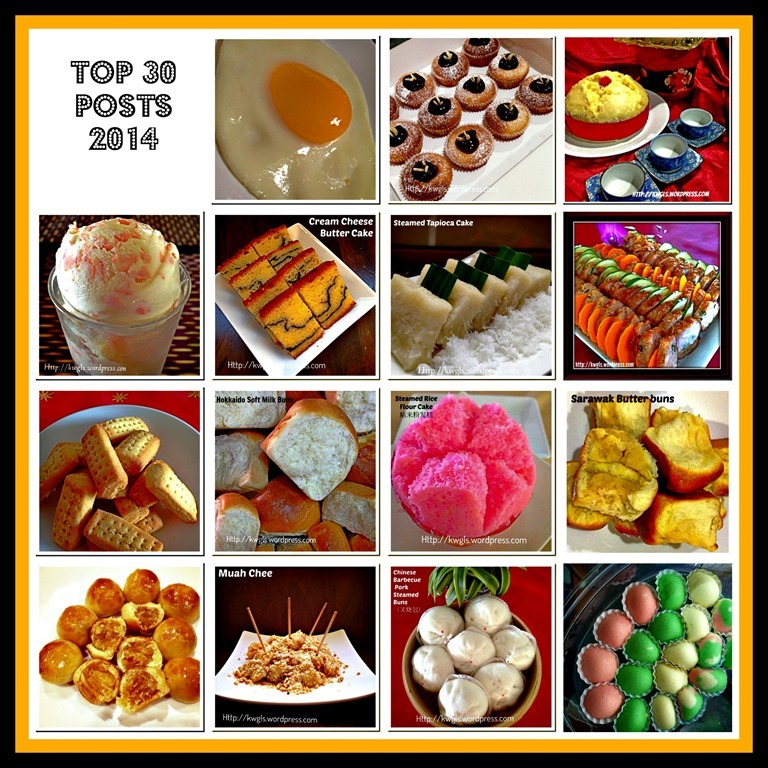 What shocked me is entry No.14 – Pandan Huat Kuih that was only issued in one day. Please clicked on the blue coloured linked or the pictures to enter individual post if you are interested. 13 One, Two, Three…….Let’s Start Making Traditional Short Bread Biscuits. 17 Eggs, Eggs, Eggs….. Join Me To Cook Eggs…. 28 Homesick Buns? Yes, I am homesick of Sarawak Style Butter Buns.. These are posts that I believed should squeeze in the top 30 listing but probably not because of their late issuance or lack of promotion of the posts. Guaishushushu have issued slightly more than 300 recipes last year and the above accounted for about 10% of the recipes. If you are interested to get more recipes, you can refer to my RECIPE INDEX here. Hope you like the post today. Cheers and have a nice day. 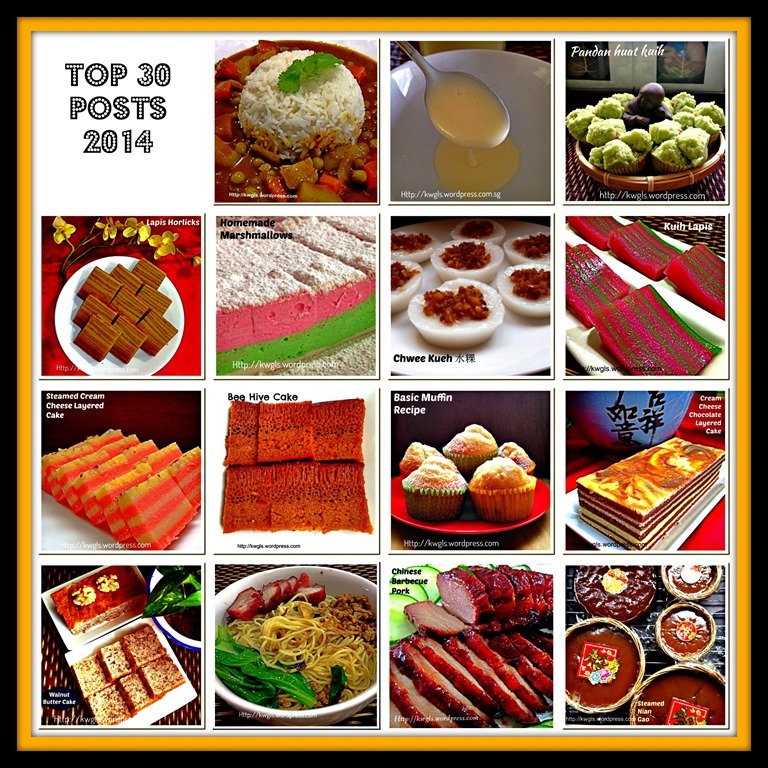 This entry was posted in Food Preparation Series, Special compilation and tagged 8, Bee Hive Cake, butter cake, butter shortbread, Char Siu Bao, chwee kuih, Cream Cheese Lapis, Eggs, GUAI SHU SHU, Guaishushu, Hokkaido bread, Huat Kueh, huat kuih, kenneth goh, KUEY NENG KO, kuih lapis, kuih lapis horlicks, muah chee, postaday, steamed sponge cake. Bookmark the permalink.